Anna Lappé is a national bestselling author, a respected advocate for food justice and sustainability, and an advisor to funders investing in food system transformation. Anna is the co-author or author of three books and the contributing author to more than a dozen others, including Grub: Ideas for an Urban Organic Kitchen (2006) and Hope’s Edge (2002). Her most recent book, Diet for a Hot Planet: The Climate Crisis at the End of Your Fork and What You Can Do About It (2010), was named by Booklist and Kirkus as one of the best environmental book’s of the year. Her writing has appeared nationally and internationally in numerous publications. She has been a guest editor for special editions on food for The Nation magazine, written a regular column for Al Jazeera America and Earth Island Journal, and has conducted research on food and sustainability worldwide. Along with her mother, Frances Moore Lappé, Anna co-founded the Small Planet Institute and the Small Planet Fund, which supports grassroots changemakers around the world. Anna currently co-directs Real Food Media, developed and leads the Food & Democracy Program of the Panta Rhea Foundation, and participates in several funder collaboratives building more just and sustainable food systems globally. Anna is a frequent guest on dozens of radio programs and podcasts, including National Public Radio’s Weekend Edition, All Things Considered, and The Diane Rehm Show, was the co-host of the PBS show The Endless Feast, and has been a featured expert on PBS’s Need to Know and Nourish and the Sundance Channel’s Big Ideas for a Small Planet. A recipient of the James Beard Leadership Award and named one of TIME’s “eco” Who’s-Who, Anna holds an M.A. in Economic and Political Development from Columbia University’s School of International and Public Affairs and graduated with honors from Brown University. From 2004 to 2006 she was a Food and Society Policy Fellow, a national program of the WK Kellogg Foundation. She is an active board member of the Rainforest Action Network, the Food and Farm Communications Fund, the Castanea Fellowship, and the Mesa Refuge. 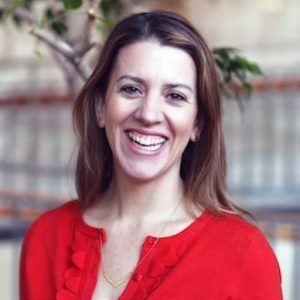 Based in the San Francisco Bay Area with her husband and two daughters, Anna hosts the Real Food Reads podcast and reaches thousands of people across the country every year with in-person keynote lectures, popular TEDx talks and Food MythBuster videos, and has been a guest lecturer at dozens of colleges and universities. Contact Anna Lappé about speaking terms and dates.